Went to Wallachia the other weekend. I forgot my camera so had to sketch stuff. 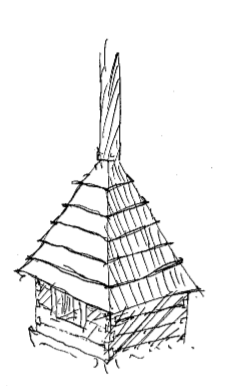 A chapel on Radhošť, displaying typical Wallachian architectural features. The church of Sts. Cyril and Methodius, atop Radhošť. The right hand version gets cut off by the top of the page. The Svaty Hostin church. 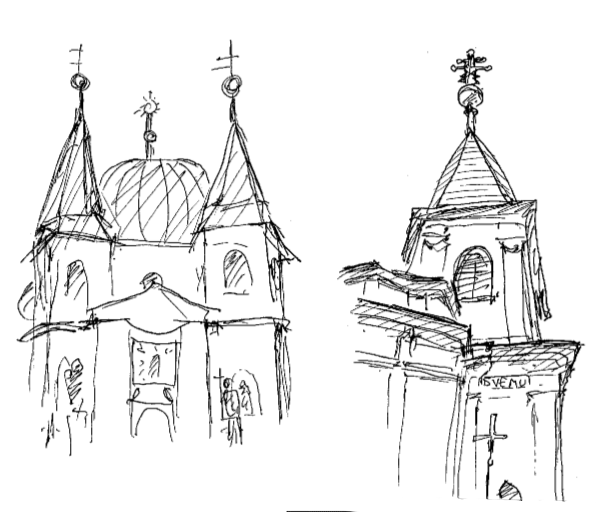 I messed up the spires in the left-hand sketch but sort of captured the look of them in the right-hand one. The house wherein lived the priests of the SVD order, one of whom was our host. 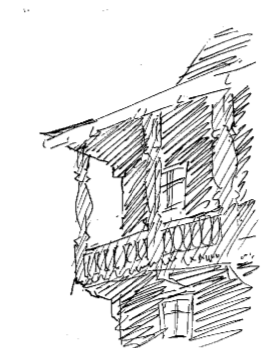 A balcony in the Skanzen (an area wherein is preserved numerous old buildings). 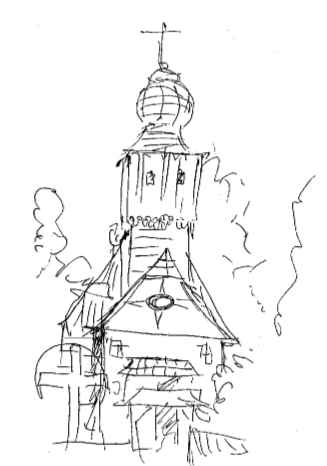 The church in the Skanzen. The church next to the building we stayed in. 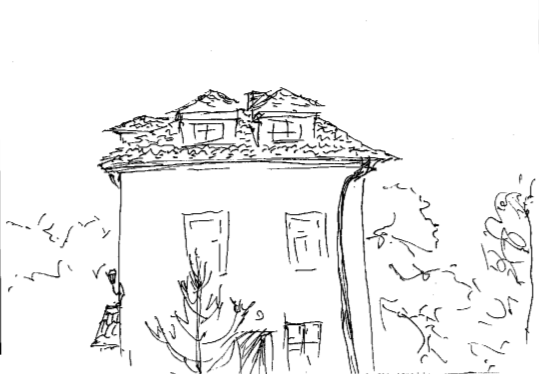 The middle sketch got rained on while being drawn. It was entirely made out of wood, and looked quite beautiful.